All Fruit Heights homes currently listed for sale in Fruit Heights as of 04/22/2019 are shown below. You can change the search criteria at any time by pressing the 'Change Search' button below. If you have any questions or you would like more information about any Fruit Heights homes for sale or other Fruit Heights real estate, please contact us and one of our knowledgeable Fruit Heights REALTORS® would be pleased to assist you. "This beautiful home is located in the coveted Lanes End Subdivision! *CUSTOM FINISHES THROUGHOUT*Exposed wood beams*Custom cabinetry and woodwork* Vaulted Ceilings* Massive great room * Gourmet kitchen Huge master bath with walk-in closet & private washer/dryer, his and her sinks, soak tub, and shower* Large bedrooms* Mother-in-law with second kitchen, laundry and entrances*Sound proof gym/playroom* Storage Galore* MUST SEE!!" "This beautiful new home has everything! It includes a full hardie/brick exterior, custom kitchen with upgraded stainless appliances and quartz tops, a huge great room, grand master suite with a walk-in shower and sep. tub, covered trex/vinyl deck and much more. MUST SEE!!!" "Absolutely stunning 2-story in highly desirable Hidden Springs. Gourmet kitchen complete with oversized butcher block island, 5 burner gas range, Viking hood, double ovens, butler's pantry, custom white cabinets, soapstone countertops and country sink. Breathtaking valley views, large windows throughout providing lots of natural light, wraparound porch, inviting open floor plan, wood burning fireplace with rock mantel, refinished hardwood floors, formal dining room, living room den, main floor laundry, and mud room with shelves, hooks, and a bench. 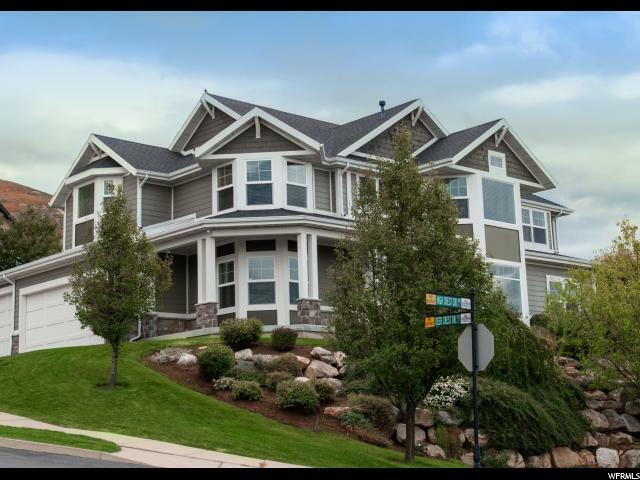 Huge master suite with big beautiful windows, gorgeous views, coffered ceilings, walk in closet, shoe closet, walk in shower with dual shower heads, oversized jetted tub, hexagon tile floors, adult height double sink vanity, upgraded fan with timer and TV. Bedrooms upstairs have views, big windows, and huge closets with organizers. Basement boasts state of the art tiered theater room with 176 inch screen, 7.2 surround sound, and projector. 9 foot ceilings, kitchenette, gas fireplace, custom play area, family room, game room with extra big closet for games, pool table, huge cold storage with shelves. 3 bedrooms with big windows for lots of light, linen closet, and adult height vanity with double sinks. Beautiful flat backyard with evening shade, hot tub, mountain views, patio, and over $50K in professional landscaping. Oversized 3 car garage perfect for cabinets, workbench, and bigger trucks, epoxy floors, access door and fresh paint. Upgraded premium lot location just across from the clubhouse with pool, hot tub, kiddie pool, exercise facility, and playground. Additional special features include 2 water heaters, 2 furnaces with dual zones, nest thermostats, whole home audio, central vac, and laundry shoot. Perfect location minutes away from Station Park, Front Runner Station, shopping, dining, hospitals/clinics, hiking/biking trails, and excellent schools." "Gorgeous Fruit Heights home with beautiful views. This fully finished rambler features an open and spacious floor plan that flows nicely from room to room. Beautiful architecture with crown molding. The family room features 12 ft. ceilings and a beautiful rock fireplace for those cozy winter nights. The large kitchen has beautifully designed light alder wood cabinets, with a nice sized island. The french doors off the dining area lead to a covered deck which is perfect for those summer BBQ's. This home features an office/den on each level. The large master suite features a vaulted ceiling. The master bath has a separate shower/tub plus enclosed toilet room and walk in closet. The basement features a very large entertainment room with fireplace and a kitchenette. Walkout basement leads to a covered patio. This home is a must see!!! Schedule your showing today!!" "Fully updated home in an amazing Fruit Heights area! Granite countertops, white cabinets, full basement apartment with multiple entrances, new paint, and new carpet. Master bedroom has a gas fireplace, its own balcony walkout, and an en-suite with separate bath and shower, and walk-in closet. Half bath right off kitchen. The 2nd floor has a loft that can be used as an office or another bedroom. Living room upstairs has a gas fireplace and its own private deck, and an office right off it. Downstairs is fully setup for a mother-in-law apartment with 5 bedrooms and 2 bathrooms, full kitchen, laundry, gas fireplace, and several entrances. The backyard has a wooded area, basketball court, covered patio, and shed. Easy to show!" "$35,000 remodel in new carpet and paint in the basement throughout and including a new Furnace. The entire home has now been re-painted and new carpet installed. Beautifully updated Victorian home with wrap around porch and professional landscaping! Walk-out basement 2-bedroom apartment with home theater, featuring a back lit screen for indoor or outdoor viewing. Custom extras include a laundry chute, Murphy beds, dining room pass through service, window seat storage in upstairs bedroom, bonus room, craft room, and a hidden door leading to under porch storage. Fresh paint, new carpet, and a resurfaced garage floor makes this home feel like new! 20 minutes from Salt Lake City or Ogden in 'The City of Good Neighbors.' For security reasons, the hidden storage area cannot be photographed but may be inspected only in person." 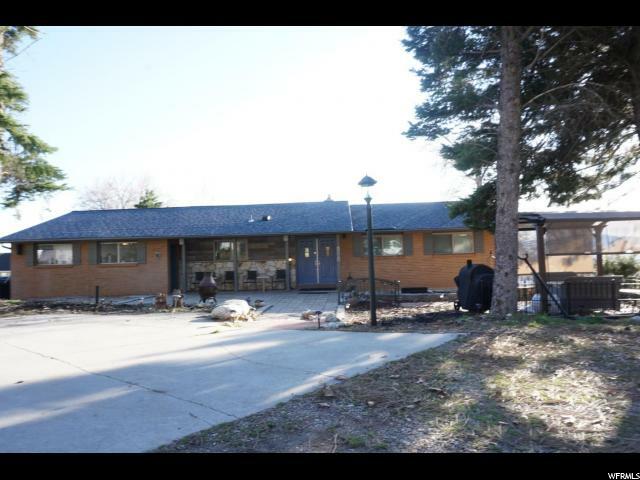 "Don't miss this one - Location, Location - This has panoramic views of the valley. Great East bench property with room for the horses, Updated kitchen and bathrooms, new flooring, full wall family room windows for spectacular view of the valley, 1.4 Acres of land, 4.5 share of Haights Creek Water included in the sale,"
"Absolutely Stunning! Updated! New baths! New carpet and flooring! LARGE gathering areas! Mother-in-law apartment! Basement entrance! RV Parking! 4 big bedrooms upstairs! HUGE office space & Mud/Storage room! New ROOF 2019! New Granite Countertop & Updated Kitchen! New Windows! Flat, private, large fenced yard with Incredible Playground! Storybook front porch! Must see neighborhood! Walk to Cherry Hill, within minutes of Station Park! It's all HERE! Call for your personal tour! Buyer to verify all. Square footage figures are provided as a courtesy estimate only . Buyer is advised to obtain an independent measurement." "Subject to seller acquiring a home. Call Agent for details. Location, Location, Location, what could be better than your backyard neighbor being a golf course with No balls flying at you. Unobstructed views of the mountains and down the valley. 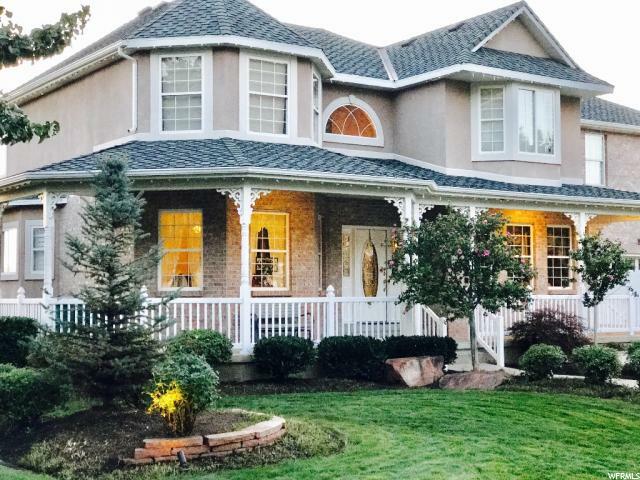 This beautiful, well maintained home offers an open concept main floor, ideal for large family gatherings with a fire place and if that isn't enough space, there is room to flow out onto the 18' x 42' covered patio. The kitchen has an extra large walk-in pantry. There are 3 bedrooms and laundry on the second floor, including a large master bedroom with walk-in shower, soaker tub and walk-in closet. In the recently updated 9' basement, with its new flooring and fresh paint, you will find a second family room/rec room, as well as an office with built-in murphy bed and full bath. The garage is an oversized 2-car that will easily fit a fullsize pickup with extra parking off to the side. SOLAR Panels, so your electric bill will be 0 and heating runs only $69 per month." "GREAT EAST SIDE FRUIT HEIGHTS LOCATION! EAST OF 89. 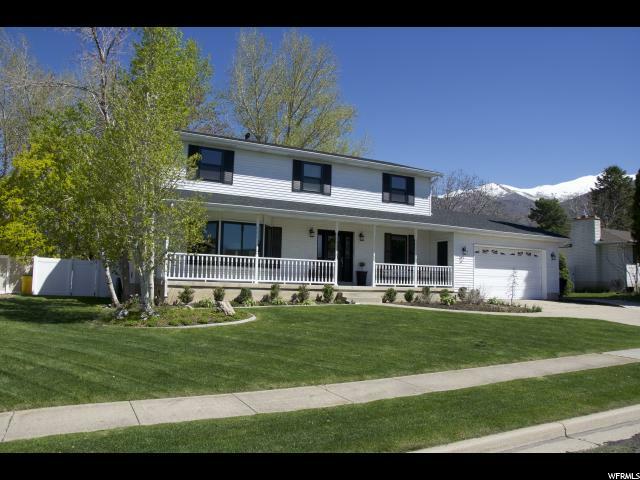 FAMILY FRIENDLY NEIGHBORHOOD W/WIDE STREETS AND EXPANSIVE VIEWS OF THE MOUNTAINS AND VALLEY. LARGE ALL BRICK RAMBLER. 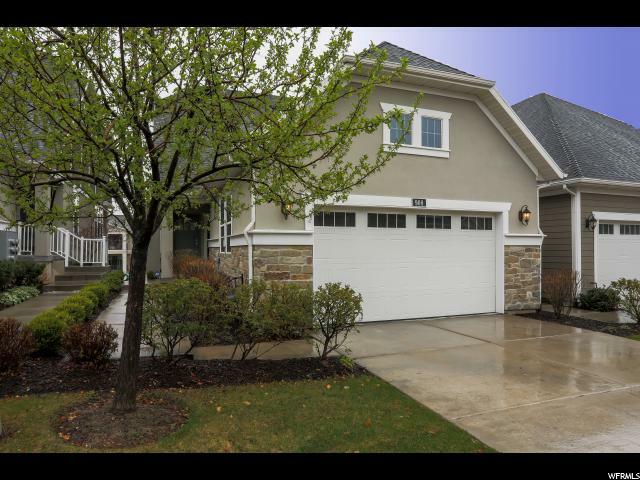 4 BED 3 BATH W/9FOOT BASEMENT CEILINGS THAT BRING IN GREAT NATURAL LIGHT AND HAS A FULL WALK-OUT TO THE BACKYARD. HOME HAS KITCHEN DOWN MAKING IT EASY FOR A MOTHER-IN-LAW APT. 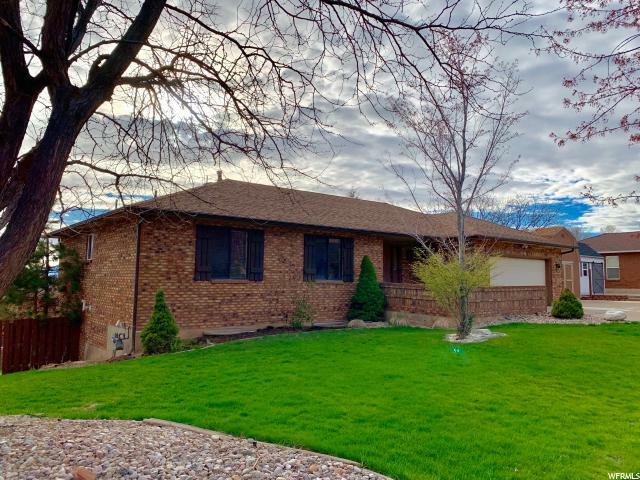 PERFECT LOT SITS FACING EAST WITH VIEWS OF THE MOUNTAINS WHILE BACK OF THE HOME HAS UNOBSTRUCTED VIEWS TO THE WEST OF THE GREAT SALT LAKE AND THE OQUIRRH MOUNTAINS." 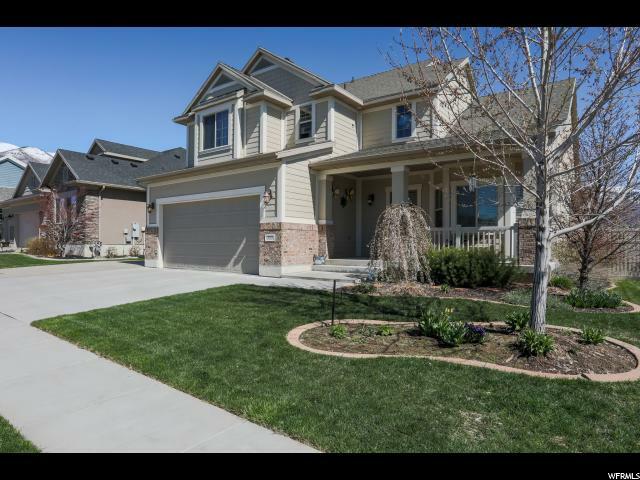 "Beautiful Fruit Heights townhome with all the upgrades! Floor plan was modified to create a more open feel with wonderful main floor living and a large, fully finished basement. You'll appreciate the quartz countertops, white cabinetry, vinyl hardwood floors and 9' ceilings. The master suite provides excellent space with a large walk-in closet, separate tub/shower, private water closet and dual-sink vanity. The garage has extra depth allowing for two cars plus storage. 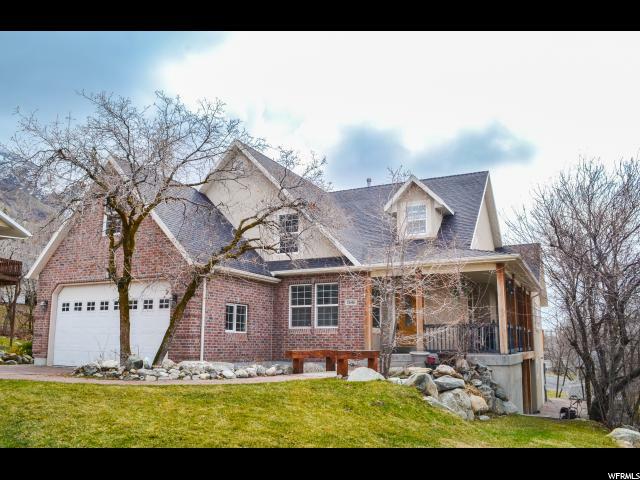 The home is centrally located within walking distance of trails and community amenities. Just a short drive to Cherry Hill, excellent schools, great shopping and golf. Put this home on your must see list!"